Dinah tells Dad about her new case. "…waiting on someone to dig up a set of bones." David Hewson left school at the age of 17 to become a cub reporter on the Scarborough Evening News, and over the next two decades worked as a journalist for The Times, The Independent and The Sunday Times. A resident of Canterbury, England, he never lost the desire to write fiction, or his love of the world’s different cities. His first book, Semana Santa, now reissued as Death in Seville, appeared in 1995 and was later turned into a movie. 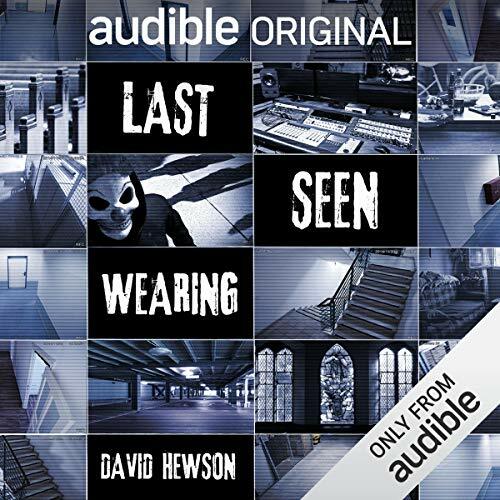 Hewson has written more than 20 books since 1995. 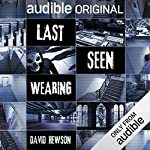 David has been an integral part of Audible Originals for more than a decade, beginning with The Chopin Manuscript (2008 Audie Award winner for Audiobook of the Year) and including three projects based on the works of Shakespeare: Macbeth: A Novel; Hamlet, Prince of Denmark: A Novel (Audible’s 2014 Audiobook of the Year); and Romeo and Juliet: A Novel. Editor Kat Johnson professes her love of true crime books that are the right balance of being engaging and salacious. Whether you're a scary movie fan or looking to expand your horror repertoire, here are some spooky suggestions. 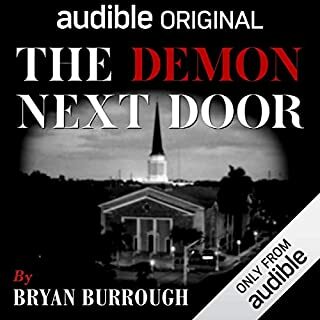 For me, full cast audio plays are one of the best things about Audible, and this is an excellent example. Wonderfully produced with scene-setting sound effects that enhance without intruding and enough character building that the individuals stand out clearly, this one is also full length so not a one-sitting listen. Like most people I think, I listen while doing other things so I don't want a story that requires my full attention but rather stays interesting and makes other tasks less mundane whether its driving, exercising or housework. This fits the bill exactly! loved everything about this one! If you've ever wondered what it must'vee been like listening to a program on the radio before TV, this surely must be as close as well ever get to enjoying that experience. What a treat! The story was good and the actors were superb! Give this one a go...you won't be sorry. Superior all the way from the opening line until the final train sounds. It was an OK story but a great performance. I liked the sound effects. It was difficult to tell some of the characters apart but it wasn't so bad that it took away from the story. Maybe too many cooks in the Kitchen. This was okay, I think it may have been too many, voices on this project, and I'm still on the fence with all the sound effects. the story was very predictable, kind of knew the ending before it ended. In all Good performance, I just thought the story was believable, and basic forensic knowledge made me yell at my Jeep's Stereo multiple times. I enjoyed this story very much. Glad I chose it. Get it, well worth it! I had no idea this book included lots of sound effects and live action! Once I figured it out it was interesting and a different way to listen to a book--a little loud on occasion! Story was good, actors were good, I think the ending could have been better but maybe there's a sequel in mind. If you like twists and turns in your crime books, this one is for you! 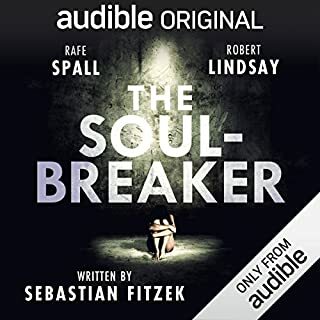 This is another high-quality audio production from Audible Studios. The star of the show for me was Laurence Bouvard as feisty cop turned PI Dinah Collins. She's very impressive and ably supported by the whole cast who all play their parts very well. The production values overall and the soundscape are maybe not quite as impressive as some of the other recent productions but it's still pretty good. The brief snatches of incidental music may annoy some but I actually found them good little breaks to assimilate the preceding events. The story itself is a classic Private Investigator drama with enough twists, turns and patches of action to keep most thriller aficionados happy. The female take on it with her family in the background works very well and the chemistry between Dinah and her cantankerous father adds genuine warmth. In addition, the traditional opposition from a senior police officer that's a hallmark of these dramas is provided by Lachele Carl as Lenora Parks. Put it all together and this is a very worthwhile listen and a great way to spend a credit. The time passed very quickly listening to it which is always a very good sign. A riveting compelling story full of twists and turns it will keep you guessing fabulous. This format was a first for me and I loved it. I did struggle initially and think this was because i wasn't used to it but soon settled into the background noises that enhanced the storyline. As to the story - I listened continuously almost - couldn't bear not to keep listening cos i needed to know what would happen next. I did guess the baddie and the end but it didn't detract from my enjoyment. All actors/narrators were very good. Music and sound effects just improved the whole experience. Will definitely try another one. Found this hard to follow..and the performance style was just not for me. 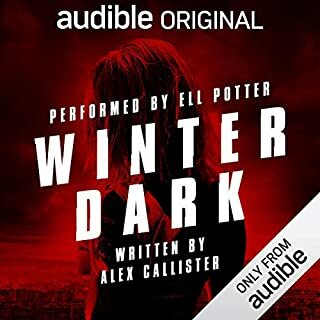 I love audiobooks rather than semi radio plays and for me this somehow had the worst elements of each format.. Also found the story slow and it never captured my imagination as it did for other reviewers..colour me disappointed! Excellent twisting plot, very well presented/produced. 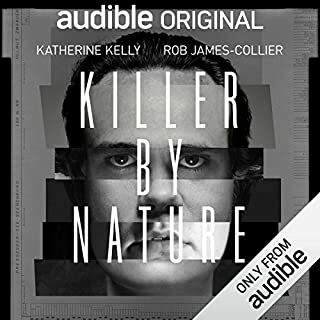 Very enjoyable (But a bit grisly) as an Audio book. After 30+ minutes listening to this you would expect to (a) know what's going on, (b) be 'hooked in' so you want to find out more. This fails on both of these points. If you've a choice between this and another title, spend your money / use your precious credit on the other book! The story lacked bite and was quite difficult to finish due to the plot being dragged out. The performances were good but were let down by the dreary; predictable dialogue. Some of the writing was a bit lazy at times, however the Fisher angle was a good twist that could have been explored much deeper. Good listening with a steaming cup of something. I appreciate this medium of storytelling and entertainment. 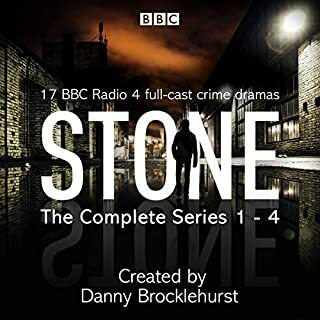 The production value good, with sound effects supplying a corporeality the central character/narrator’s experience; prioritising narrative over atmosphere. 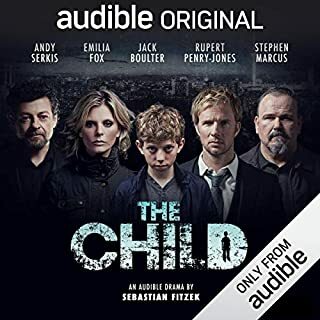 The story with its twists & turns is cleverly executed and satisfying, we the listener have vicariously shared the hard work of our detective protagonist, feeling a sense of accomplishment. Told in a prosaic style that is easy to follow, avoiding the pitfalls of embellished emotional description. Without spoiling it, the main plot’s loose thread is revealed after the principle arch is concluded, in a postface which is rather lacklustre in explanation and ending. The weakest part of the work. not bad but lots of back ground noises which made it difficult to hear the story sometimes. didn't like the ending. it felt a little lost at the end lie the author didn't really know how to finish the story. Like listening to the old radio plays. Good twists but a little far fetched at times. Enjoyed the read. I found it a bit hard to get the context of the story where the character's where and what was happening around them. It took a while too get in to but loved it in the end. Very different having all the characters playing their part and having all the background noises. Very off putting to start, but gradually got used to it. I reserve my judgement as to whether or not this is the better way to present an audible book. In saying that a great story from an author I haven’t read/listened to before.